When it comes to smartphones, we always want more. 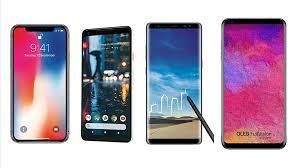 We’ve witnessed phones evolved from bulky to skinny, small to huge screen display and they’re now equipped with the brightest OLED display, impressive memory capacity and batteries that can last you to up to few days more. With the boost in mobile technology, groundbreaking changes and evolutions of smartphones are expected to continue, and are showing no signs of stopping any time soon. Brace yourself as we expect more awesome smartphone features this 2018. And, if you can hardly wait, maybe Samsung Galaxy Note 9 will be out this July. If you have the money to splurge for the incredibly expensive iPhone, well, why not? iPhone is gearing for yet another impressive smartphones, yes, not just one but three. Rumors are spreading that iPhone will release iPhone X’s sequel featuring 5.8 inch display, a 9.1 inches display iPhone 9, and 6.5 inches display iPhone X Plus. What more? Looks like Apple’s going to introduce its lower cost handsets this year to make their smartphones within the consumers’ reach. Conventional wisdoms have it that Google is preparing to surprise everyone with combo approach this year, with Pixel 3 and Pixel 3L. Both phones are expected to deliver the best camera features, the top-of-the-line Qualcomm Snapdragon 845 Android chip and will be running in the latest and fastest Android, Oreo OS. A screen to body ratio of almost 93%? We can’t just wait for China’s Oppo Find X to impress everyone once it is out in the market. Oppo Find X is anticipated to launch later this year with awesome features including a no notch display, 3D facial recognition, Snapdragon 845 powerful processor, and an 8 GB RAM. Nokia is making sure they’re back with a vengeance. We are clamoring for Nokia 8 Sirocco’s launching although there’s no definite time when it’ll be. The new phone has a charming visual display matched with impressive durability. Think IP67 dust and water resistance and up to 450 pounds pressure capabilities. Moto Z3 is anticipated to arrive come June or July. Although it’s likely not going too far out from its predecessors in order to stay in tune with the previous Moto Mod add-ons, Z3 still highlights remarkable tweaks. With expanded screen display, dual rear cameras and fun cinemagraph mode, as well as an iris scanner? Moto Z3 is one mobile phone to watch out for this year. Speculations are spreading that LG V40 will lure mobile users with not just 3 or 4, but five cameras! Expected to roll out anytime the second quarter this year, LG V40 will highlight two front cameras, three rear cameras, advanced Snapdragon 845 processor, and is rumored to be following the trend of 3D unlocking and face mapping. Mobile apps are taking the world by storm. Apart from their impacts on the consumers’ personal mobile habits, they have played important roles in today’s modern ecommerce and businesses and are becoming an integral part of our day to day systems. App developers are faced with more pressure as the evolution of smartphones has encouraged apps to push beyond their limits. In other words, to stand out in a crowd of millions of apps, you don’t just need to have the right mobile app, you also need to keep up with the latest technologies. This year, we can expect to see new waves of AR applications. And, they are not just going to be focused on gaming, marketing and entertainment. This time AR will shift its focus into more practical uses including navigation, user manuals, interior designs and objective measurement among many others. We are undoubtedly in the Internet of Things era, and IoT developments are far reaching and continually evolving. With IoT users are able to control connected devices conveniently through apps and remote connections. As users become more adept to the efficiency of IoT driven apps, developers should see to it that at the very least their apps are designed to be IoT friendly. Blockchain is in. And with the blockchain apps’ rapid development, it looks like they’ll be pretty much around and will be more immersive. Blockchain app integration has helped address the challenges of security that were traditionally much difficult to achieve. This app development will help eliminate malicious data hacks and offer enhanced safety for users. The rise of online banking and e-commerce has reshaped the way consumers shop. Mobile payments are absolutely the hottest thing in mobile technology right now. Advanced mobile payments have allowed faster and seamless bill payments, money transfers and commercial payments that provide customers with utmost convenience. Years ago, 5G was just a vision. But, finally this year the 5G technology is set to break through new heights to improve user experience providing up to 10x faster connectivity compared to the current technology. With the 5G connectivity, advanced mobile technologies are truly just easily within reach. It seems that the evolution of mobile technologies is accompanied by increased risks for cyber security threats and attacks. 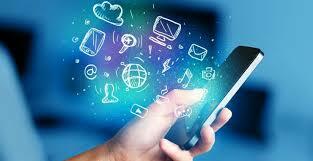 This year mobile trends will center on enhancing security and data protection. Security has become an essential component in every systems and app with more consumers becoming more critical about the protection of their personal information particularly with the boost of ecommerce platforms. Thus, developing an app that offers flawless security is definitely a must. One of the most important trends every developer should keep in mind in developing mobile apps and technologies is integrating cloud technology. The cloud has provided solutions to various problems and offers a lot of benefits including increased storage capacities, cost reductions and enhance scalability and productivity. Apple is making sure they stay on top as the leading advanced technology brand. This year the company is set to wow their solid Apple fans with enhancements in their pre-existing OS. Set to provide users with optimized performance in their Apple devices, iOS 12 will offer solutions to the bugs and glitches in the current and previous iOS. It is easy and free to download. You don’t need to register your device for an ID nor does it require a developer’s account. You can simply download it in a breeze at the Apple Beta Program website. As a friendly reminder, be sure to back up your device before downloading and installing iOS 12. And if you don’t want to deal with potential issues inherent in pre-released software, you may want to wait for the official software which is foreseen to be released this September. iOS 12 is focused on delivering smoother and faster performance. 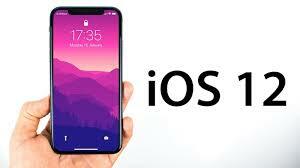 With this latest OS you can expect to enjoy faster applications, navigation on your Apple devices should be smoother and crashes will be significantly reduced. Even your old iPhone like the iPhone 5S and iPhone 6 will have a dramatically improved performance once you upgrade to iOS 12. Apple’s voice assistant will be more intuitive. Siri Shortcuts allows you to customize your tasks and commands to let Siri do more things for you such as sending a message, play a podcast or remind when you when you’re running late for an important meeting. iOS 12 allows you to better manage and reduce the time you spend on your screen. Why? The OS comes with tools that will track how often you pick up your device, how much time you spend using different apps, and how frequent you get those notifications. When you see the numbers, you’ll probably begin to ask, am I using my time wisely here? The new OS promise to provide users with enhanced privacy with its intelligent tracking prevention system. Apple will be implementing browser innovations so that these annoying data tracking companies will find it more difficult to track your online footprints. Introducing Measure, an AR measurement tool. Apple is set to boost the Augmented Reality applications with the aim to make AR more relatable and practical to the broader population. Group FaceTime and easier photo sharing services. Apple will be introducing the new “For You” tab to encourage convenient photo editing and sharing. And, with group FaceTime you can already speak simultaneously to up to 32 people. It seems finally Apple has begun to notice about their already-behind video calling tools. Move over Animoji, Apple’s updated cartoon avatar Memoji is here to takeover. Memoji lets you create fun, cartoon avatars of your face. You can transform yourself into different animated emojis, ghost, and other adorable animals and you can even use your memoji face during your FaceTime conversation. Since the release of smartphones, such as Apple and Android, there has been a noticeable spike of people who developed nomophobia. What is nomophobia you ask, well the phrase that is something that researchers have come up with during the current century to describe the fear of not being able to use your mobile device – or any smart device. It was created due to the rise of mobile addiction and with a new study that was released – this addiction is harming our minds more than causing us good. If you are wondering how you would know if you’re addicted, one great way is to take the test created by a team of researchers. It’s simplistic as all you must is answer a series of question and rank your answer from 1, which mean you completely disagree, to 7, which means you strongly agree. According to one of the researchers that created this study, Caglar Yildirim of State University of New York at Oswego stated that if your score a 20 or below then you are not an addict. A score between 21 and 60 means you are a mild nomophobe, and a score ranging between 61 and 99 means that you are probably the type of person that cannot go long without checking your phone. Yildirim continues that its good to be aware of this so you can tweak certain habits, so you don’t reach and can get out of the true nomophobia zone. Especially considering how it can interfere with your daily life and interactions. Studies done with patients that have scored 61 or higher are linked to having worse impersonal social interactions along with having higher levels of social anxiety and depression. Having pure nomophobia can also affect your work and study habits seeing as how you cannot go long without constantly interacting with your mobile/smart device. This is alarming seeing that 95% of Americans own some type of mobile/smart device. What’s the Issue of Being Mobile Device Junkie? Other than the issues regarding social interactions, mobile devices are not the healthiest items to own and use constantly. For starters, many studies have shown, which is proven by the number of commercials being seen now, that many people who are addicted to their cell phones are most of the ones who are getting into car accidents. Many of these accidents killing nine people a day while injuring 1,000 others. The increase of being a cell phone junkie behind the wheel has finally begun reaching epidemic proportions as up to nearly half of adult drivers, including drivers as young as 16, have admitted to using their cellphones while they were driving to check social media, messages, or because they were bored. On the other hand, your smartphone could be affecting your sleeping habits. Many people who report going to sleep with their phone or having them close by while sleeping have reported that they feel groggier and less rested throughout the day. While cell phones may be a great addition to your everyday life – you have to learn how to use it responsibly as to avoid having one simplistic device control all other aspects of your life. Be safe and responsible and use your device in the safe way it was intended. Samsung has gotten over their exploding phone problem that the Galaxy Note 7 encountered and the anticipated Galaxy Note 9 is highly anticipated as there is a July release date. The Note 9 has a bigger battery with a 4000mAh cell, which is considerably bigger than the older version. There will be a “reimagined” camera on the 9 version a processor that is faster, micro SD support, and slimmer screen bezels. The Galaxy Note 9 may have an all glass front cover that has a fingerprint scanner, but there are rumours that the fingerprint technology may not be ready for the July release date. However, in a phone Galaxy released in China, it has that so the rumors may not be true. Technical difficulties are thought to be the problem for the technology, but Samsung has a few different ways of fixing this. The screen on the Galaxy Note 9 will be a little bigger at 6.4 inches, and there will be HDR video recording, which is new for Samsung phones. Typically, Samsung has unveiled their new phones in August, but they want to get the Galaxy Note 9 on the market before the new iPhone comes out. They have been testing the phone and said they are on track for a July release date. When the Galaxy Note 8 was released it was around $930, but it was worth it and look for the same cost for the 9, but shopping online you can find it cheaper. Usually, within three months of a Samsung release date the price of the phone tends to drop about 20%, so waiting a little may be a good option for saving some money. There will be a performance upgrade for the Galaxy Note 9 with 2nd generation Qualcomm Snapdragon 845 as well as a unique Exynos chip, which should be available on most of the phones and there will be 6GB of RAM and run the Android 8.1. Like its predecessors, the Note 9 will be very fast, and there will be improved battery life as well with a possible 4000mAh battery being used, and this will top the 3300mAh cell that was used in the Note 8. The biggest buzz about the Note 9 is the front, which may be entirely made up of glass and has fingerprint scanner options under the display where the camera and phone sensors will also be. The light source will come from the Super AMOLED screen, and that is also a solid addition. Samsung has been working on a bendable display for their phones, but while this may be seen in a version later this year, it will not be on the Note 9. Overall, the Galaxy Note 9 looks to build upon the strong Note 8, but with a longer-lasting battery and fingerprint technology. The sleek Note 9 will be very fast, and that is the main selling point of the phone, which is slated to be released in July. The Galaxy S9 Plus has proven to be a good release for Samsung. The new phone went on sale in the U.S and around the world and was well-received with many people preordering the phone in advance to be the first to get their hands on the much-hyped device. The U.S saw At&T, Sprint and Verizon all putting the phones on sale to try to corner the market as buyers rushed to get the best deals. For those not familiar with the Galaxy S9 Plus, the question becomes if the phone is worth the hype and one to consider when replacing your current phone. When looking at the general design and options they offer, there is little doubt that the S9 Plus is one of the best released in recent memory. However, there are a few things that Samsung could have done a bit better. If you look at the specs, the internal speeds, overall design and quality of picture images are top of the line. The hardware used in the phone is also top of the line, and that makes this a solid phone to purchase. The retail cost of the S9 Plus s$799usd, which is not the most expensive, nor the least expensive phone at this level of quality. There is little doubt that the dual aperture lens is one of the best and affords the luxury of taking photos that are high-quality and bright, but at times, they can come out a little blurry due to that brightness. The 3D avatars and unlock face tool is on-par with that offered by the iPhone X, but the S9 Plus is considerably less when you compare the costs between the two. It can be rather easy to look at the areas that may not compare with some other high-end phones, the point of Samsung excluding some of those was to set them apart from other phone manufacturers. However they failed to do that, and the result saw Samsung being passed by when it comes to the CNET’s Editors’ Choice Award, but even without that, this is an excellent phone and listening to the naysayers will cost you in the end. The battery life in the S9 Plus is excellent and long-lasting, usually enough for most people to have life in their batteries through the entire day. Those who love picture taking will especially find it worthwhile to own the S9 Plus, but the Google Pixel will satisfy those urges better as is priced on-par with the S9. When looking at the security side of the S9, it is more than acceptable and offers on-par qualities other devices provide, but those who want the latest advances will need to up their budget and look at the iPhone X. Overall, a solid phone for the investment and most will find it more than suits their needs.